Hoody hoo! Hackmaster Basic for free! Here’s a pretty excitin g offering in the free old school RPG category – Hackmaster Basic is now available as a free download! 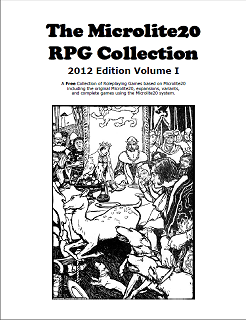 For those who aren’t aware, the HM rules offer some pretty interesting twists to the classic fantasy RPG model, and for the low, low price of absolutely free, you get 231 pages filled with spells, magic items, GM tips, and more. If that’s not enough, the combat examples are illustrated and demonstrated by B.A., Bob, Dave, Sara, and Brian from the Knights of the Dinner Table! If that’s not enough, then just take a look at that flippin’ sweet Erol Otus cover. That should clinch it all, right there. If it doesn’t, then you’re reading the wrong blog. You can download the Hackmaster Basic PDF at the Kenzer and Company website. 1d8 Days of Hanukkah – the DREIDEL RPG! Made of clay, but ready for ADVENTURE! I’m running low on quality material for my 1d12 days of Christmas, so I’d like to wrap up the series with one last holiday-related post, in which I take a time-honored holiday tradition and turn it into a mechanic for a roleplaying game! The dreidel is a small top, usually made of wood, that is used in a game played during Hanukkah. It has four sides that are marked with the Hebrew characters נ (Nun), ג (Gimel), ה (Hey), and ש (Shin), and is usually played with foil-covered chocolate coins or other tokens. The last player with coins or tokens in their collection is the winner of the game. Of course, when you or I look at something like a dreidel, we don’t see a top. We see a four-sided die. And when we think of dice, we think of other ways we can use them for games… don’t we? So here it is, my quick-and-dirty dreidel-based roleplaying game. Bring your own genre and theme – I’m just giving you the system. This is my first ever RPG design, ever. It’s terribly derivative. Don’t hate me for that. I’m not that good at game design. Improvements, suggestions, house rules, and constructive criticisms are very welcome… but please be polite. EQUIPMENT: A dreidel or 4-sided die (three of either would be even better), a large quantity of chocolate coins (or tokens, glass beads, etc.) 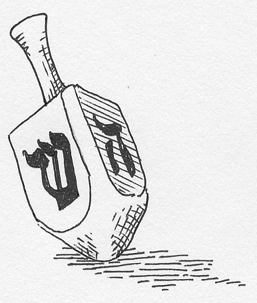 You can make your own paper dreidel here, if you’d like to keep it real. TO PLAY: All players make a character by writing some sentences down about the character, and giving each of these qualities a rating from 1 to 3. Your total ratings cannot be higher than 12. The GM and some players get together to tell a story (holiday or Hanukkah themed stories would be best, but do as you wish). Each participant (including the GM) take a pool of nine coins for themselves, and leave an open space within reach of all players for the story pool. 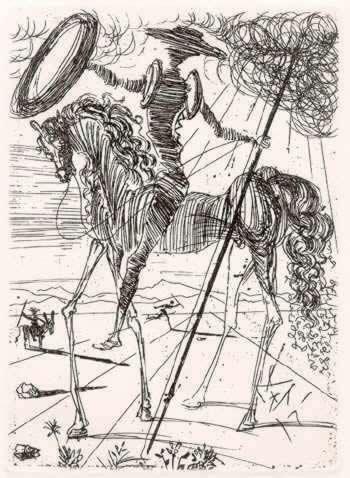 When a player wants to perform an action in the story, they tell the GM what they want to do, which of their qualities they would like to use to do it, and how many dreidels they would like to spin – they can spin as many as their quality rating, but the more they spin, the more of their coins they risk. Shin (Put) / 1 – Total failure – GM has full control over the story, and describes some kind of penalty that the character now suffers. The player must put coins in the pot equal to the amount of times they spun the dreidel. Nun (Nothing) / 2 – Marginal failure. GM has control over the story, and describes a moderate failure for the character. Hey (Half) / 3 – Moderate success – Player has limited control over the story, and describes how their action succeeds. Player takes half of the coins in the pool (rounding up) and adds them to their pool. Gimel (All) / 4 – Total success – Player has full control over the story, and describes how their action succeeds, along with a bonus result. All coins in the pool go to player’s pool, and the player may choose to give some of the coins to other players (limit 2 per player) without having to pay the GM (see below). A player who is out of coins is out of the story somehow – unconscious, incapacitated, imprisoned, or suchlike (the GM decides). Other players can bring them back into the story, but they must donate coins to their pool to do so, at the cost of 1 coin to the GM’s pool. (So if a player wanted to donate 2 coins to an unconscious character to bring them back into the story, they would have to pay 2 coins to the GM as well, for a total of 4 coins paid). And there it is – a dreidel-based RPG rule system! Special thanks to my buddy Stormbringer for inspiration, and to Jared Sorensen, S. John Ross, and any other RPG designers that I have stolen ideas from. If you try this out and enjoy it, please let me know! More Krampus! This time he comes to you in the form of a free 3-page PDF from Nevermet Press, a system-neutral holiday NPC for you to download, convert to your favorite system, and let loose on your campaign! Have your PCs been naughty? 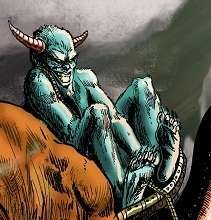 Then it might be time for them to get a lesson from our favorite Alpine Christmas Demon! Download Krampus – a system neutral holiday NPC here! Epic Christmas adventure! And like any good gift, it's free! 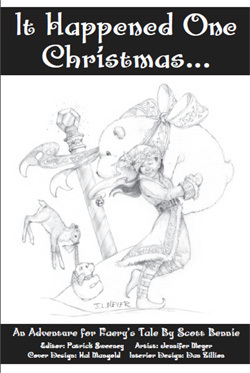 It Happened One Christmas, a free adventure for one of my favorite RPGs of all time – Faery’s Tale, from Firefly Games. In it, Father Christmas enlists the aid of some of the fair folk to help a village that has come under a terrible curse from a a nasty prince. It even includes a new faery type (Christmas Elves) for the characters to play. The adventure is a bit on the short side, but could easily be beefed up – in fact, a section at the end contains several suggestions for extending the story. One of them even gets Old Man Winter involved, and I can think of a bunch of other characters from Christmas lore (*cough*Krampus*cough*) who fit right in to the story. If you have young people who are interested in trying out roleplaying (or you’re interested in gettting them interested), Faery’s Tale is an excellent choice for an introductory game, and this adventure would be great as their first one ever. Or you can play it with all grownups. It’s okay. No one will judge you. We’re all friends here. If you’re not subscribed to the Roleplaying Tips newsletter, you really should be. And if you haven’t downloaded the ZIP archive of the past 514 installments, you really should do so. It is a veritable flood of ideas, advice, and suggestions for tabletop RPGs – over eleven years worth – that is practically guaranteed to inspire and/or improve your roleplaying sessions.